Impact investments targeting the agricultural sector tend to focus on Sub-Saharan Africa, Southeast Asia and Latin America, leaving behind other regions of the developing world. To tap these overlooked opportunities, responsAbility Investments AG has been working with producers and processors in the Caucasus, Central Asia and North Africa. It’s not difficult to see why impact investors focused on agriculture in the developing world have directed their efforts towards sub-Saharan Africa, Southeast Asia and Latin America. The three regions together are home to most of the world’s farmers and an overwhelming proportion of the world’s poor; many of their economies remain reliant on agriculture as a primary growth driver. Foreign investment-friendly regulators and developed financial sectors also make it easier for impact investors to add value. The World Bank estimates the market potential of Africa’s food sector alone at USD 1 trillion by 2030. The coffee cooperatives of Latin America and the mature, stable markets of the region represent the low-hanging fruit. Southeast Asia is generally seen as the new frontier. Yet this geographic prioritization leaves large swathes of the developing world uncovered. The agricultural sectors in North Africa, the Middle East, Eastern Europe, the Caucasus and Central Asia in particular do not attract much attention from impact investors. One could argue that there are good reasons for that: outdated agricultural practices, the existence of local banking sectors already serving the sector, high political and country risk and challenging risk/return environments. But that leaves potential opportunities on the table. More than half of the Georgian labor force works in agriculture. The country is the world’s second-largest exporter of hazelnuts, a crop primarily cultivated by smallholder farmers. In Armenia, the agricultural sector represents 25 percent of GDP and has been growing at a fast pace as the country transitions away from an import-based centralized economy to one with local production. Over 30 percent of the population lives under the national poverty line, most in rural areas. It is often forgotten that the Middle East and North Africa region is a historic breadbasket. Egyptian cotton, Tunisian dates and Palestinian olive oil – often cultivated by smallholder farmers – are premium products in European and North American consumer markets. The demand is there. After launching with a focus on Latin America, a responsAbility-managed fund focusing on agriculture now has a more global lens. Today, the fund has investments in over 40 countries, including in the Caucasus, Eastern Europe, the Middle East and North Africa. An absence of traditional cooperatives puts the focus on private companies, particularly (but not exclusively) on exporters that involve smallholder farmers in their supply chain. The fund’s investments span more than 50 commodities, expanding the eligible investment universe and providing the fund with built-in diversification. In the Caucasus, the responsAbility-managed fund provides short-term debt financing to export-based business models. One Georgian hazelnut exporter, for example, faced challenges in managing its cash flow during the highly seasonal hazelnut harvest. Exporters generally have to pay farmers upon delivery at the harvest, which begins in August, to secure the highest-quality supply. Payment from foreign buyers only arrives later, tying up cash flow and making it difficult to grow volumes. Financing is limited, as local banks are generally wary of the unpredictable agricultural sector. The fund’s financing, timed to match cash gaps throughout the season, provided the exporter additional liquidity to purchase larger volumes from smallholder farmers. The responsAbility-managed fund also provides longer term financing and supports business models targeting local markets, especially in countries where local banks are reluctant to lend long-term to the agricultural sector. In line with the country’s trends over the previous post-Soviet decades, the Armenian mushroom market has been radically altered as local production replaced expensive imports and more than halved the market price of fresh mushrooms. This boosted local demand and consumption and created a viable meat alternative. A responsAbility partner engages in a closed no-waste production process involving compost produced from agricultural waste, different varieties of mushrooms grown from said compost and sold to local supermarkets and finally, the used compost is sold on to be used as an organic biofertilizer. The company is making use of the fund’s long-term financing to invest in machinery and other fixed assets aimed at boosting production and developing a processed mushroom line. Importantly, local banks were unwilling to provide long-term financing with a grace period built in – allowing responsAbility to add value by deploying private capital. In Tunisia and Algeria, the responsAbility-managed fund provides harvest financing to several date producers and exporters, many with Fairtrade and organic certification. A Tunisian Fairtrade-certified producer that works with farmer’s families in a remote area of the country was profiled in a Guardian article in 2014 and remains a responsAbility partner. Several of responsAbility’s partners provide technical assistance and inputs to the smallholder farmers they purchase from, increasing the capital’s social impact. These regions have not been entirely ignored. 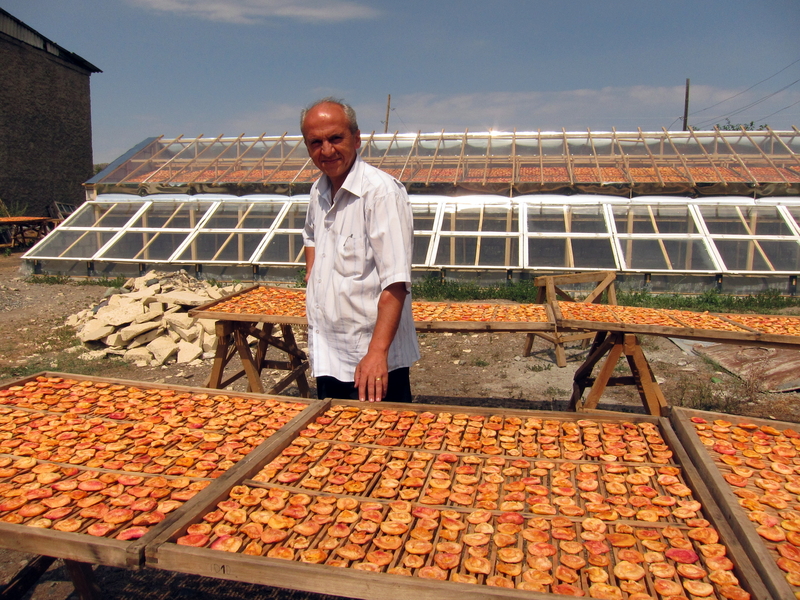 Public development-financing institutions including EBRD and IFC have invested hundreds of millions in these countries, often in agriculture. But as a private funder deploying capital with no guarantees or first-loss cushions from philanthropic funders, the risk/return profile of the responsAbility-managed fund is different. In a way, the agricultural sector in some of these countries can be seen as an ideal case study for the roles of different international financial institutions. With the risk too high and markets too underdeveloped for private capital, development-finance institutions got the ball rolling, sometimes integrating local banks as co-lenders. As more companies started to become bankable and innovative structured finance and lighter collateral options became feasible, private funders such as responsAbility funds have started to get involved. The fragility of many former Soviet economies was exposed in 2015, as their over-reliance on oil and Russia dragged them down with both. A need to diversify is apparent, and agriculture has already proven to be a powerful investment in economic growth and poverty alleviation. responsAbility’s work has barely scratched the surface. Entire funds could be dedicated to sustainable agriculture in these regions.